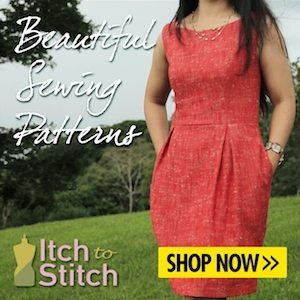 My Vogue V1392 off the shoulder dress pattern review for Sewing World magazine. I have been bursting to share this dress make with you since last August! I was kindly approached by Minerva Crafts who asked if I would be interested in working with them in reviewing a pattern for Sewing World magazine. Of course I jumped at the chance, and as it was such an amazing opportunity, I wanted the garment to be really special. I chose the most beautiful dress pattern I could find, Vogue V1392, which is a Vogue pattern in collaboration with Kay Unger. 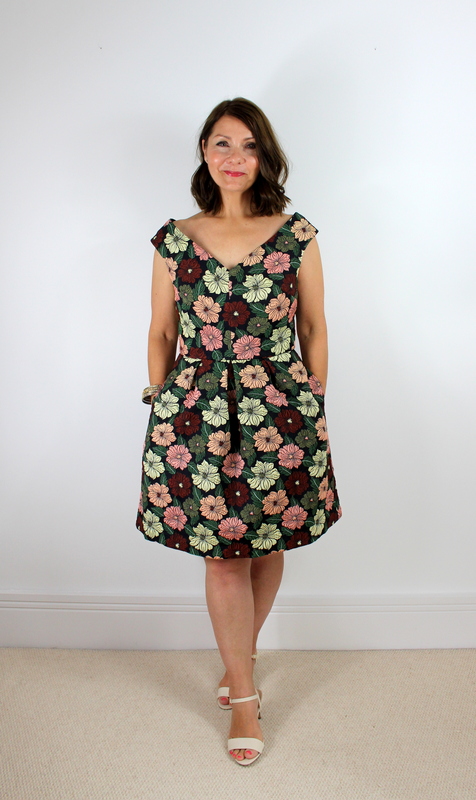 It’s a stunning design and the first time I have used a Vogue pattern before! My fabric choice was this pretty stretch brocade, I love the sage green and dusky pink colour combination. These cute little elasticated straps are hidden in the shoulder straps to stop them from slipping – so clever! So many layers to the skirt – main fabric, organza petticoat and lining too. Pattern matching is always challenging but worth it! So, I think it only fair to leave it here and direct you to Sewing World magazine to read the full review, but I would love to take this opportunity to thank Sewing World for allowing me to share my thoughts with their readers and to Minerva Crafts for their generosity in supplying me with such superb supplies, they were a dream to work with. Happy December everyone! The start of a new month means that it’s time for my monthly post on the Minerva Crafts Blogger Network. 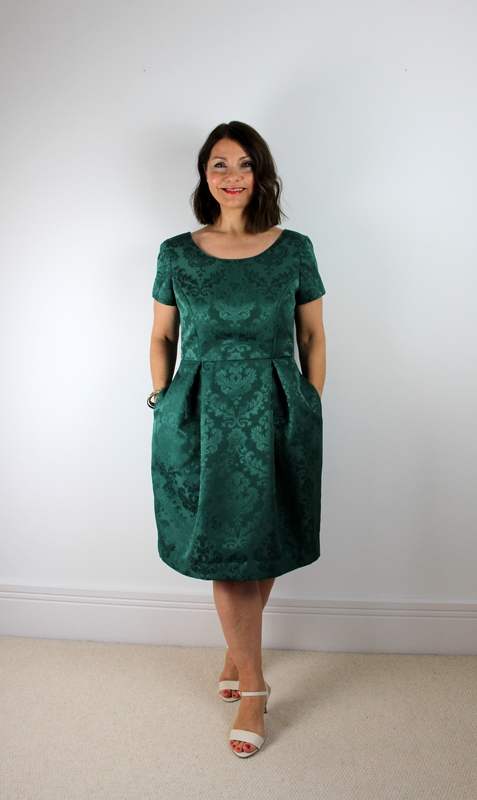 With the party season in mind, I have gone all fancy and used this stunning bottle green brocade to make this wonderful Elisalex Dress from By Hand London. Not only is it fancy on the outside, it’s fancy on the inside too, so do head on over to my post to read all about how I made it super special.